I am convinced that the Constitution of Guyana is based on some fundamental principles and precedents upon which the State is expected or acknowledged to be governed. The purpose of the Constitution is to provide clarity rather confusion especially when challenged. 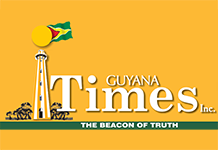 Recently, however, everyone seems to have conjured up his or her own interpretation of the No-confidence Motion handed down December 21, 2018, the D-Day of Guyana. I am interested in assessing the dual citizenship enshrined in the Constitution of Guyana just because. I do not need empiricism or epistemology to understand the meaning of dual citizenship. It means when a person is a citizen of two countries at the same time in which that person has a passport for each country, among other factors. In Guyana, a person is allowed to have dual citizenship but cannot or should not be a selected, an elected or appointed parliamentarian. It is unconstitutional. What I find interesting is the word dual, and without using convoluted Mathematics, simply means two and no more. So, if one has triple or multiple citizenship (Guyana, United States, India or any other country) can that person serve in the Guyanese Parliament? I believe the answer is yes. The word dual in the Constitution does not say it means more than two. So if you have dual citizenship you cannot serve but if you have triple citizenship you can. The Constitution does not disbar the latter situation because it does not fall into the dual citizenship category. I am not in the business of giving out ideas and the fact that the process of acquiring triple citizenship may not be clear-cut, there are countries that will grant citizenship to foreigners that require no heavy lifting.